This Prick and colour card was made using pastel chalks - a very delicate process. What a beautiful card. I love how you have used the chalks on this. Isn't chalk a lovely medium to work with? 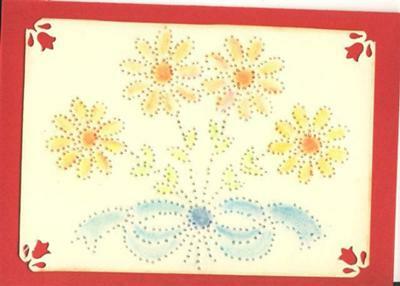 Thank you for sending this card for us to see.